Our summer would never be complete without a trip to my fav place...St. Simons Island, Georgia. As I've mentioned before, Honey picked out SSI for our honeymoon almost 24 years ago.On that honeymoon we both fell in love with the Georgia Coast. We have a fav little condo that we have stayed in for several years and had booked this year too. But the week we were headed over, we found out we'd be staying in a different place...a house. Now I was assured it would be just fine but, it was a little dated. When we arrived and saw just how dated it was I could have cried! When she said dated I imaged black appliances instead of stainless....that is dated...but ya'll we are talking plaid curtains and furniture dating back to the 70's. I called the gal I lease through and was fighting back tears as I ask for the WIFI passcode and she knew I was less than happy. I even mention that I just don't think we will be staying the entire booked time due to the condition of the property. She apologized and we hung up. Within 3 minutes she called me and said "we have a unit over at the King and Prince that we are gonna put ya'll in." Somehow, we managed to pack up and throw load everything back into the van and head over to the beach front, King and Prince Resort! In all these years of going to St. Simons we've never actually stayed on the beach. 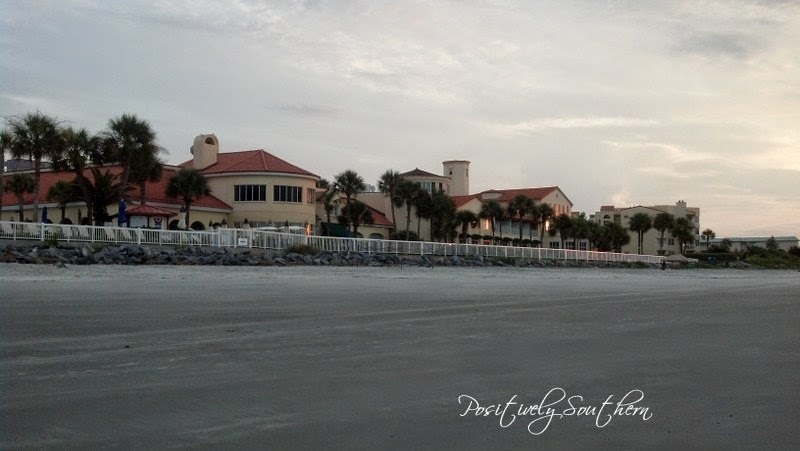 No one ever understands why we don't stay on the beach but, I adore Sea Palms Resort. Any way we flew over to the King and Prince Resort and fell in love with it just like Sea Palms. This is the ocean side of the King & Prince. I'm not sure if I can ever not stay on the beach again. 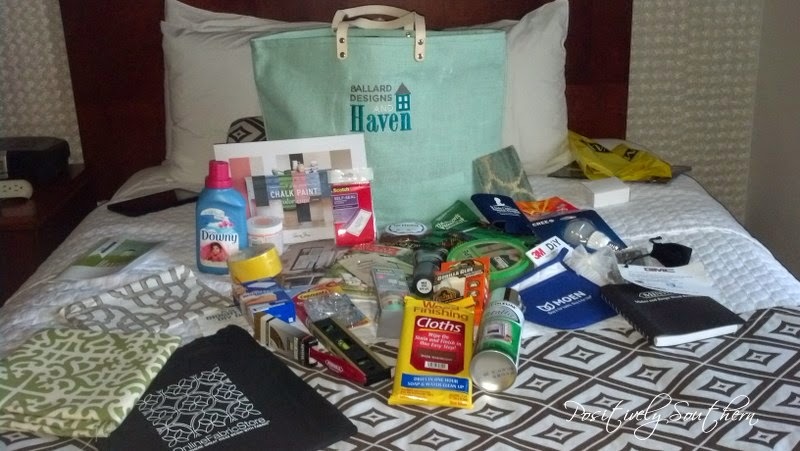 One thing you can ALWAYS count on at Haven is the fabulous SWAG! 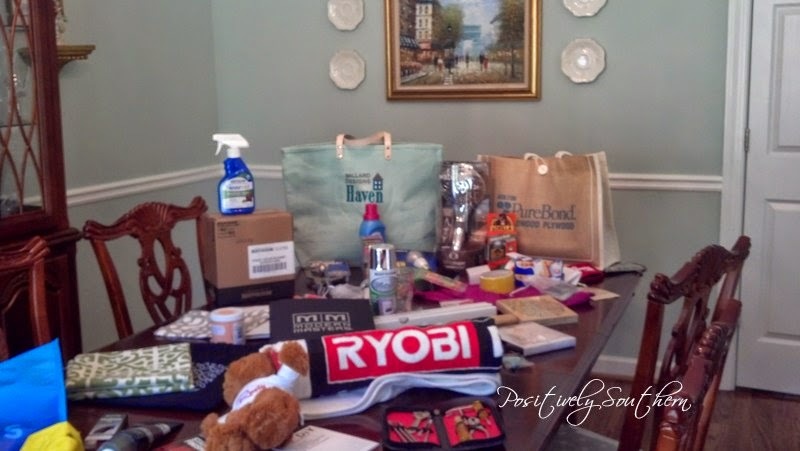 Each year we are given these fabulous bags filled with the most amazing things. Throughout the conference we get to visit with a host of sponsors/vendors and they usually have fabulous goodies for us as well. Sometimes ya'll... it is all about the SWAG!!! Cause who doesn't like free stuff...right? Here is a diff pic that shows much more of what I brought home! It filled the dining room table!